95% of insects are beneficial or benign. Being a good organic gardener requires you to get over insect phobia and learn how and why to attract beneficial insects into your garden to do the work for you (using flowering and/or companion plants). If you have to immediately control an insect infestation, please use non-synthetic organic/OMRI listed insecticides. GrowJourney Note: Whether you have fungus gnat larvae killing your indoor seedlings (they eat their roots), root-knot nematodes damaging your outdoor plants, or other soil pests causing harm in your garden, these predatory nematodes work like magic. Imagine releasing a pride of hungry lions on a herd of fat, lazy deer. Use nature’s pest control instead of synthetic chemicals. GrowJourney Note: A favorite “good bug,” ladybugs have been a popular beneficial insects for the past 20 years. Make sure to release them at sundown because ladybugs don’t fly at night, and watering leaves just prior to release also helps to keep them in your yard since they’re very thirsty after being in a bag. GrowJourney Note: Make these incredible native predators part of your pest insect control strategy! The adults praying mantids are voracious predators to many pest insects! If you plan to hatch them indoors before you put them outside (it’s a great project for kids! ), you’ll need to purchase wingless fruit flies (you can get them from any pet store) so they have something to eat in their first few weeks. If you hatch them outside, do it near bushes or shrubs so they can start hunting immediately after hatching. Additional Info: Carolina Mantis (Stagmomantis carolina), not the non-native and possibly more indiscriminate sp. of mantis, the Chinese Mantis. 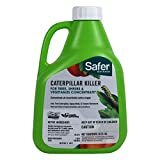 GrowJourney Note: Safer Brand Caterpillar Killer uses a naturally-occurring soil bacterium (Bt) to effectively kill caterpillar-stage insects and leaf-feeding worms that can wreak havoc on your vegetation. Especially helpful for squash vine borers and cabbage white larvae. One 16 ounce bottle of concentrate protects over 10,000 square feet of plantings. Can be applied to edible plants up until the day of harvest. Use with: This is a concentrated form (not Read-To-Use, RTU) and will need to be applied with a 1 Gallon Pressurized Sprayer or a smaller spray bottle (for smaller areas). 16 oz Liquid Concentrate (shown) // 8 oz. Dust, we recommend using a mask with HEPA filter to avoid lung irritation from breathing fine particles. GrowJourney Note: THE BEST neem oil product we’ve ever used. If aphids are a problem on your indoor seedlings, neem oil spray is a safe and effective way to get rid of them. We’ve also used it on other indoor plants for spider mites and scales. It also works on outdoor pests as well, although we prefer to let our predatory insects do that work for us. It is an insect repellant, anti-feedant, and growth regulator. This is a concentrated form (not Read-To-Use, RTU) and will need to be applied with a 1 Gallon Pressurized Sprayer or a smaller spray bottle (for smaller areas). GrowJourney Note: A great ready-to-use (RTU) neem oil spray. 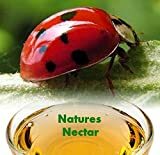 Neem oil is a safe, plant-derived oil that can be used to control both pest insects AND plant diseases, specifically black spot, rust, powdery mildew and other fungal diseases. Ready to Use (RTU) – no sprayers or mixing required! GrowJourney Note: A fantastic new organic biopesticide made from food grade & NOP compliant botanical extracts (rosemary oil, peppermint oil, soybean oil). Mantis is completely non-toxic and perfectly safe for use indoors and outdoors. 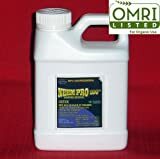 Great for aphids, spider mites, scales, and other pest insects. GrowJourney Note: Agribon is basically magic in fabric form. You wouldn’t want to use it in your front yard since it’s not very pretty (maybe as a Halloween decoration), but if your backyard beds need an insect blocker, frost protection, or you want to extend your growing season, it works wonders. And, yes, it does allow sun and rain in, while blocking bugs and trapping heat. Perfect if you’re covering multiple beds or larger areas. Heavier weights of Agribon available under the season extension section in Tools & Supplies. 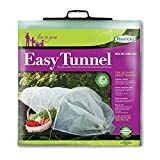 GrowJourney Note: This works the same as Agribon, but comes out of the box as a one-piece, accordion-style cover that you can put on, take off, and store really easily. If you only have one or two beds to cover, this product is perfect. Use with: 83″ Agribon shown above. Use with: 10’x25′ Agribon. The 83″ will not be wide enough. 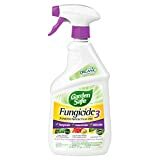 GrowJourney Note: Used as a foliar spray or soil root drench, this is an incredibly safe and effective organic product for preventing and/or treating various fungal and bacterial diseases. It’s made from a beneficial soil bacterium and it’s so safe, you can actually spray it on plants/produce the day you eat them. 32oz Liquid RTU (shown) // 32oz Liquid Concentrate – concentrate (NOT RTU) will need to be applied with a 1 Gallon Pressurized Sprayer or a smaller spray bottle (for smaller areas). GrowJourney Note: Another safe and highly effective bio-based product (made from disease-preventing, living microorganisms). Use as foliar spray or root drench to prevent or stop common plant diseases. 2 Oz Treats Up To 5,000Sq Ft Of Lawn Or 550 Plants. Use with: May be used in conjunction with other biological disease control methods such as Serenade.